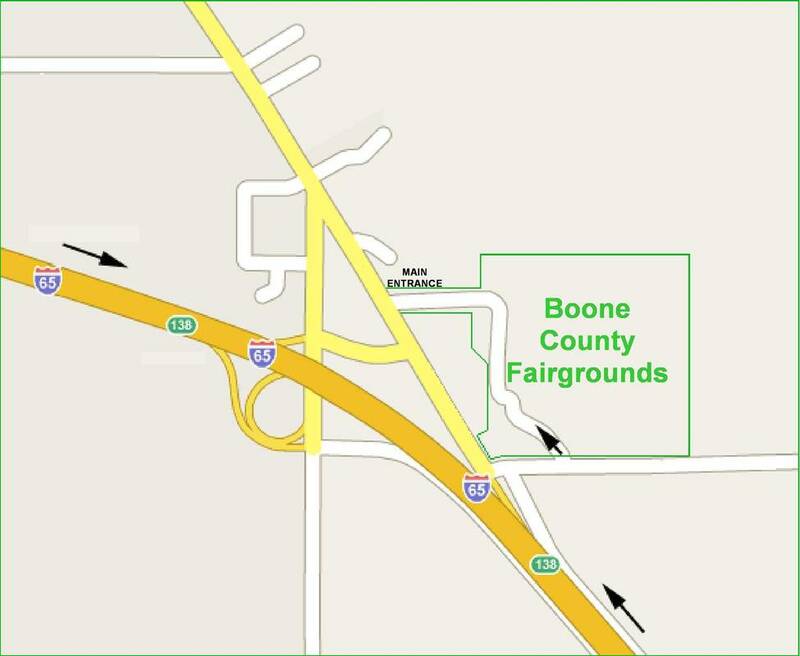 The Back To The Fifties Festival, Inc. is now located at the Boone County 4-H Fairgrounds (1300 E 100 S) Lebanon, IN. off I-65 Exit #138 just 20 minutes north of Indianapolis. Entrance for parking is on Indianapolis Avenue at the 4-H Fairgrounds sign. Car Show participants should follow the directional signs to the south drive. Vendors should follow their directional signs for check-in. There is no admissions charge. The Festival is the second Saturday after Labor Day in September. A Friday evening dance (6-10 pm) precedes the Saturday 9am-4:30pm event. A FREE SHUTTLE service will be available to visitors.